The Ulysses Syndrome is a syndrome coined by Joseba Achotegui, Professor of Psychotherapy in Barcelona. It is sometimes called the Immigrant Syndrome of Chronic and Multiple Stress, but the problem with the alternative name is that most immigrants are also emigrants, yet they are both migrants. 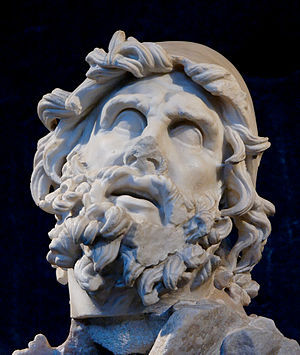 The syndrome is named after the classical Greek hero, Odysseus, who was unable to return home and travelled for some 10 years through the Mediterranean after the end of the decade-long Trojan War. The hardships of his journey are compared to the ones of contemporary migrants, who must struggle with intensely stressful, novel situations in isolation and with little help. Scarcity of their resources makes it impossible to cope with and successfully adapt to the unfamiliar environment of the receiving country, which in turn leads to experiencing a range of detrimental symptoms. The Ulysses Syndrome is described as an atypical set of depressive, anxious, dissociative, and somatoform symptoms that results from being exposed to extreme levels of stress unique to the process of modern migration. Rather than a mental disorder, this syndrome is a natural reaction to toxic levels of stress seen in migrants who are otherwise in normal mental health. Symptoms of Ulysses syndrome include migraines, insomnia, recurrent worrying, tension, nervousness, irritability, disorientation, fear, fatigue, sadness, gastric pain, bone pain, low self-esteem, increased tobacco and alcohol consumption, and decreased productivity. A lack of social support or access to appropriate medical care may aggravate these symptoms. The problem, of course, is that the term emigrant or immigrant is often a misnomer, because these symptoms are mostly the result of being an illegal asylum seeker. These are arriving into countries that differ vastly in culture from their original home countries. The Ulysses Syndrome is therefore also a culture shock.